The banded sea snake is one of the deadliest snakes on land and in the sea. In the water, it's a swift serpentine swimmer that cunningly stalks its prey. On land, this snake hides among rocks and ground foliage to digest its food and lay eggs. 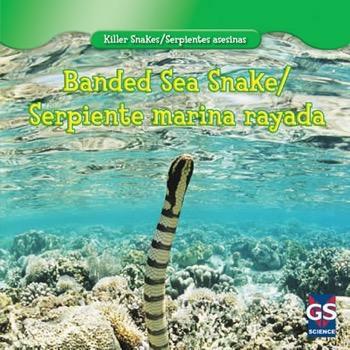 In this bilingual book, English language learners will find English and authentic Latin-American Spanish text paired with colorful photographs of the banded sea snake in its natural habitat. A fact sheet is included to share quick facts for report writing and research.